Jocelyn is responsible for co-designing, co-planning, and co-instructing classes that educate students on healthy life choices. 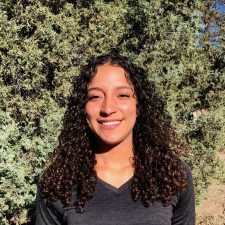 Outside of the classroom, Jocelyn will also be responsible for assisting with intramurals, coaching individuals on fitness goals through morning exercise, and assisting in other campus recreation activities that will be held at Eagle Rock. Jocelyn was born in Wilmington, Delaware. Throughout high school, Jocelyn worked at the Latin American Community Center where she developed a passion working with youth and fostering the importance of positive mentorship with students, through developing programming as the Evening Enrichment Coordinator. After graduating high school, Jocelyn remained in Delaware for college, where she attended Wilmington University and played point guard for the Women’s Basketball team. Through her collegiate basketball experience, Jocelyn found a new found passion of wanting to train youth in the fundamentals of basketball. So, after graduating college, Jocelyn began a basketball training program. After college, Jocelyn also spent a service year working for Public Allies Delaware and where she was placed at Delaware Technical Community College and played a role in developing partnerships with various businesses, throughout the state of Delaware, to help connect students with work-based learning opportunities. Students inspire me when they find their spark. ©1993- Eagle Rock School and Professional Development Center. All rights reserved.